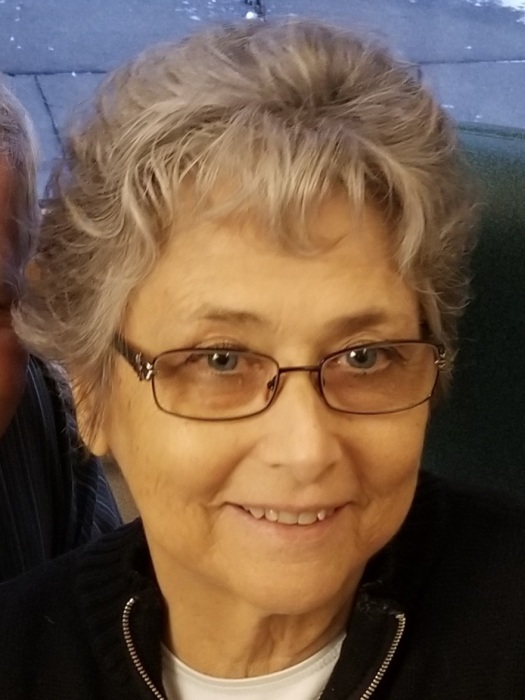 Carol Luann Johnson, 67, of Grand Meadow went home to be with the Lord on Monday, December 3, 2018 after losing a battle with liver disease (NASH) and cancer. Carol was welcomed into this world by her parents; Dean and Patsy Baugh on February 12th, 1951. Though born in Jefferson, IA, the family relocated to the Grand Meadow area in 1954 where Carol enjoyed her school years, graduating in 1969. Carol was united in marriage to Joseph Johnson (Joe) on July 22, 1969. The couple made their home in Spring Valley during the early years of their marriage and welcomed sons Jeffery Dean and Robert Joseph to their family. After a move to Grand Meadow, Carol enjoyed a steady flow of children into her home and heart as she offered childcare to many local families for over 20 years. Some of those children returned years later with children of their own for her to care for. Known for her open-door policy where she shared her faith and an endless supply of fresh baked goods. Carol and her husband, Joe had a heart to feed people, both physically and spiritually. She enjoyed watching birds, gardening, reading, football, good conversations and Southern Gospel music. Carol was preceded in death by her parents; Dean and Patsy Baugh. She is survived by her husband Joe, sons Jeff (Brenda) Johnson and Rob Johnson of Grand Meadow. Grandchildren Dakota (Jess) Johnson of Mabel, Brock Johnson of Grand Meadow, Haley Kestner of Rochester, Madison Johnson of Rushford, Josiah Johnson of Grand Meadow and one great grandson; Clayton Dean Johnson of Mabel. Brother; Dennis (Cheri) Baugh of Grand Meadow, Sisters; Connie (Jim) Leichtman of Grand Meadow, Ruth (Larry) Nold of Elkton, Rhonda Randleman of Jefferson, Iowa and Sheri Greer of Grand Meadow. Carol was and is much loved and will be greatly missed. Funeral Services will be on Friday, December 7th at 2:00 p.m. Grand Meadow Lutheran Church with Pastors Dave Simerson and Megan Reedstrom officiating. Burial will be in Grand Meadow Cemetery. Friends may call at the Grand Meadow Lutheran Church Thursday, December 6th from 4-7p.m., and at the church one hour before the service on Friday. Hindt Funeral Home Grand Meadow, MN, is assisting the family.